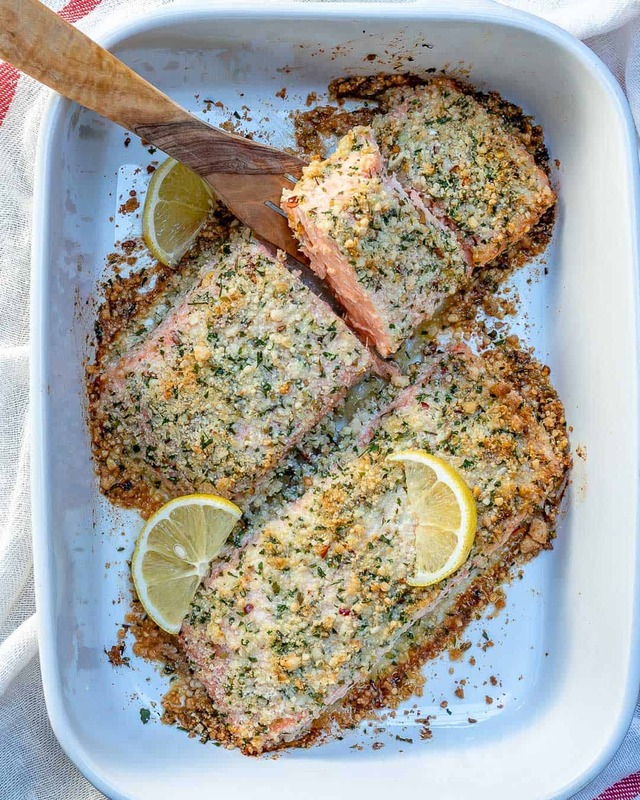 This Crispy Baked Salmon recipe is prepared with a delicious garlic parmesan crust and baked to perfection in the oven. They are tender and flaky and super easy to put together. Get dinner ready in less than 30 minutes. 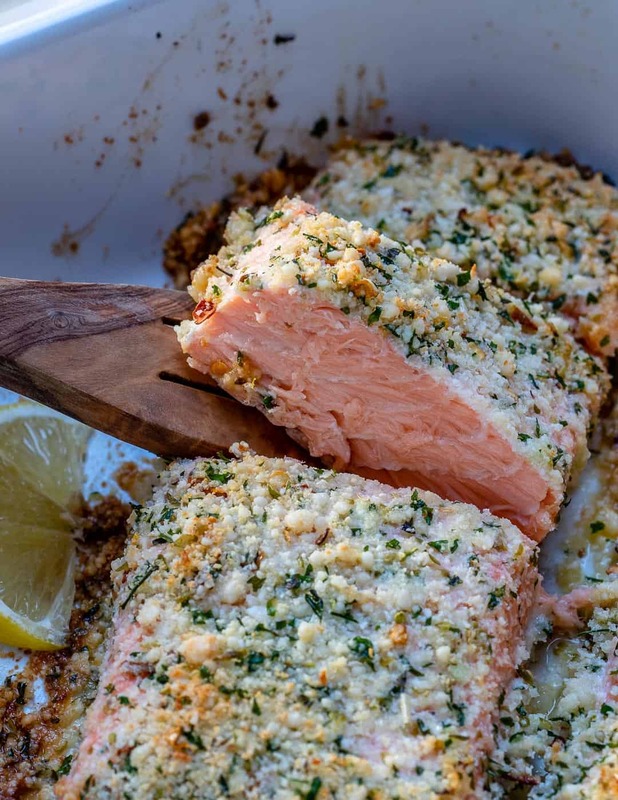 What’s not to love about a perfectly baked salmon fillet? I love how you can add them over salad, enjoy as is, serve with a side of rice, quinoa or loads of veggies. There are pretty much two types of fish I love to eat that aren’t too fishy. Salmon and white fish like cod. Salmon is my favorite though. 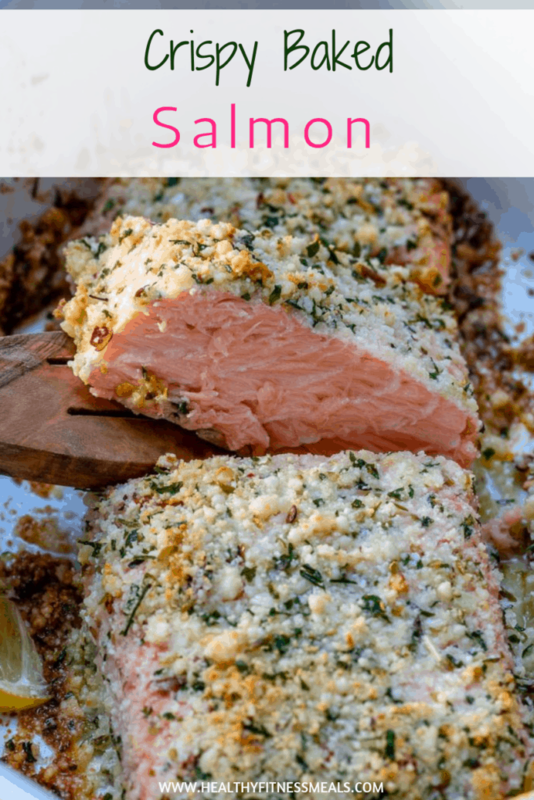 This Baked Salmon recipe has such an amazing flavor to it and I bet you will love it as much as I do. 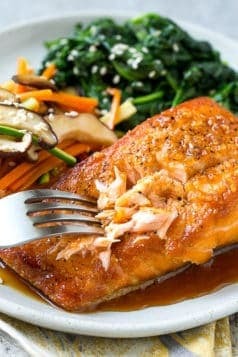 If you would like to prepare this baked salmon recipe and bake it in a foil for easy cleanup you sure can. 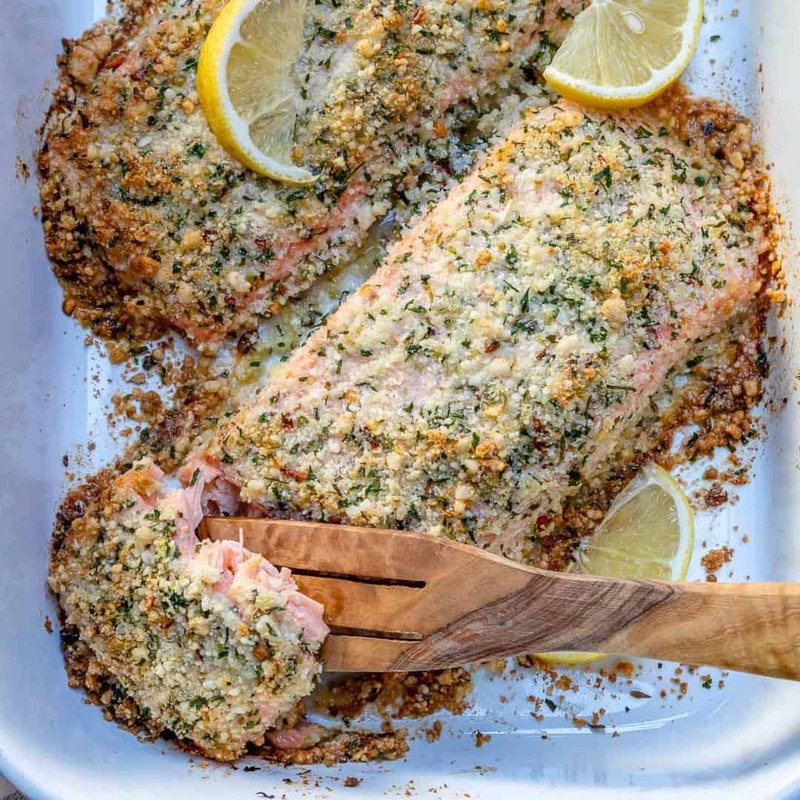 Just cover the salmon fillets in the foil and bake for the first 12 minutes or so, then uncover it and let it bake for another 5 minutes to get the crispy texture for the crust. 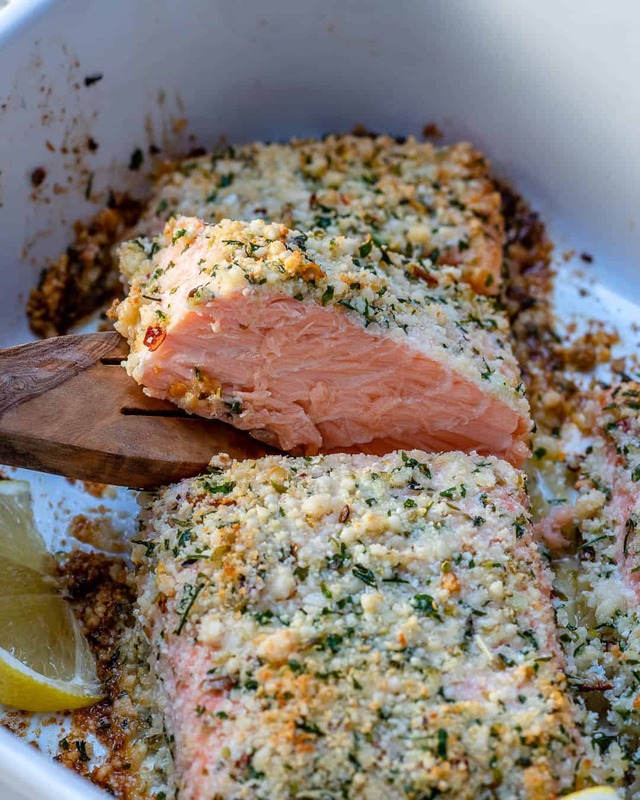 If you prefer to cook your salmon in a pan that’s perfectly fine. Some find this method easier than baking. 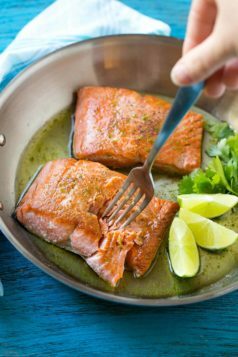 Add a bit of olive oil on your pan, season your salmon fillets with your favorite seasoning, salt, and pepper. Place the salmon on the pan over medium heat, skin side first. Allow the salmon to cook over medium heat for about 5 minutes on each side. Remove from heat and garnish with some fresh Lemons and enjoy. What is Salmon good for? Salmon is very well known to be an excellent source of quality protein. They are packed with omega-3 fatty acids and DHA which help lowers blood pressure and reduce inflammation. 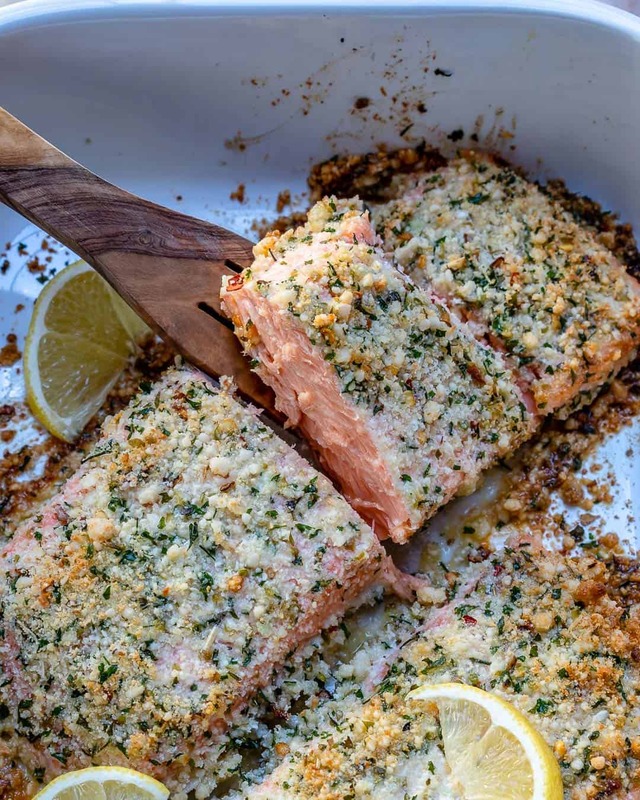 Also, salmon is high in nutrients such as Vitamin B which is great for protecting your heart and brain health. 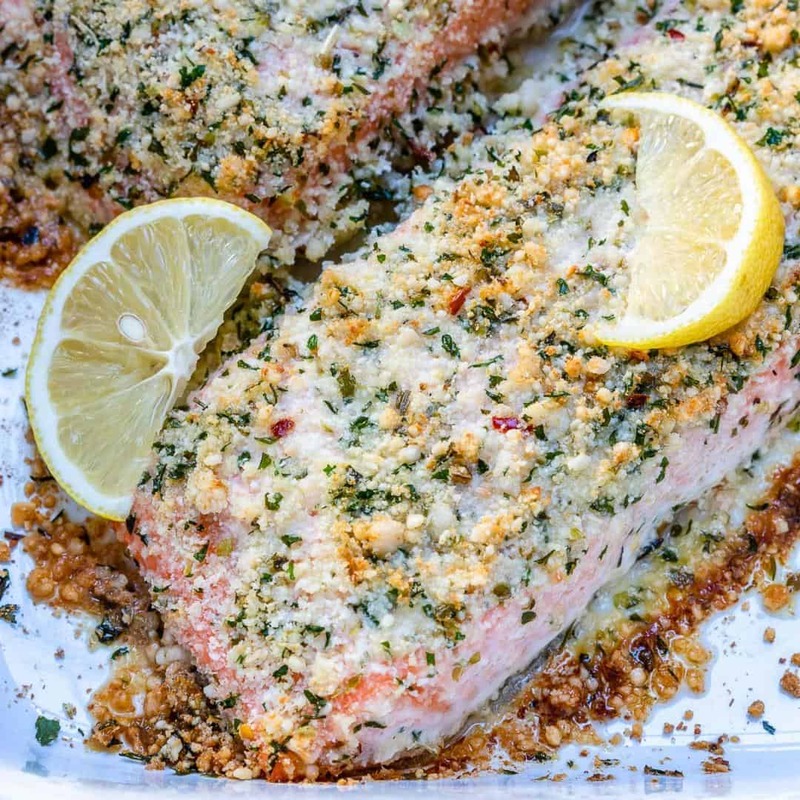 Making this Crispy Baked Salmon recipe? I would love to hear your thoughts on it. 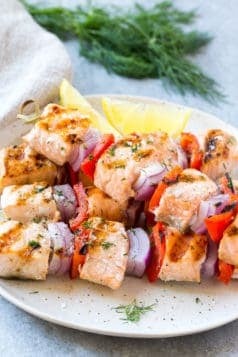 Also, if you have any delicious salmon recipe you would like to share with me please let me know by leaving me a comment below. 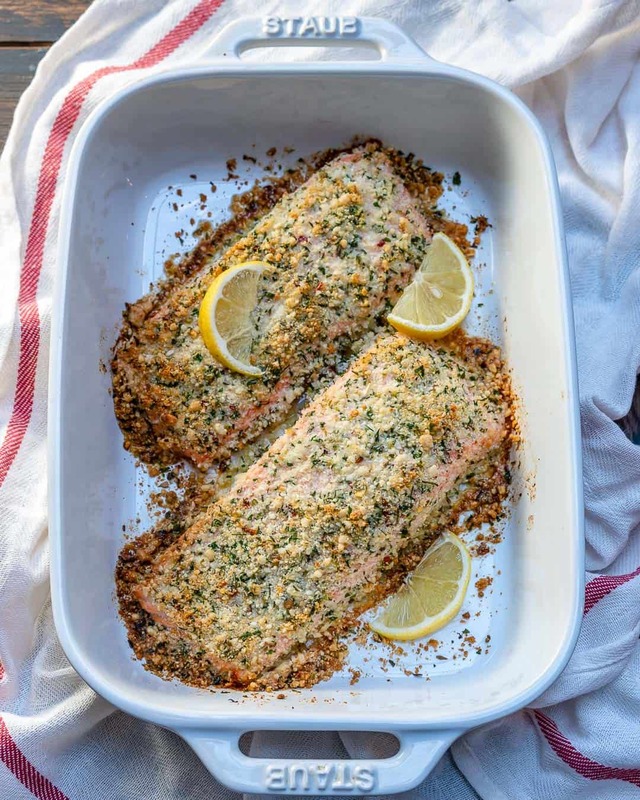 Remember to subscribe to my NEWSLETTER for free and receive all my new recipes like this Crispy Baked Salmon Recipe delivered right to your inbox! 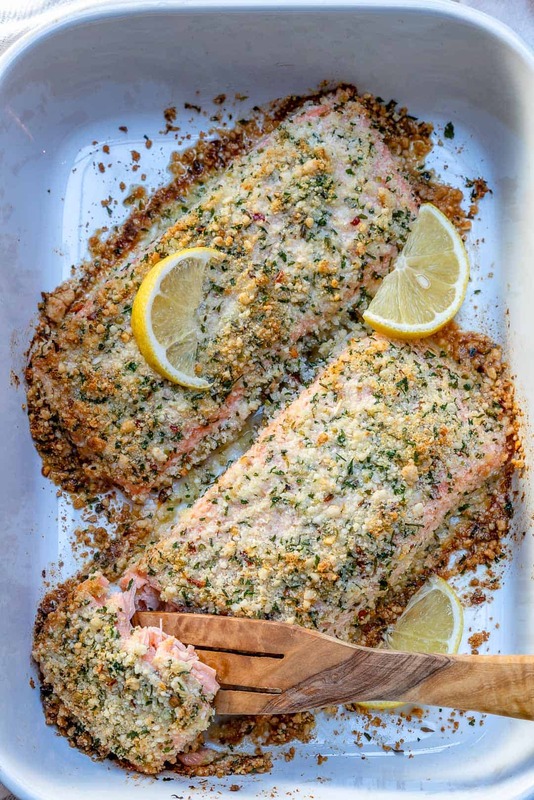 Perfectly baked, tender and flaky, with a delicious garlic parmesan crust. In a different bowl mix melted butter or olive oil with garlic, salt, and pepper. 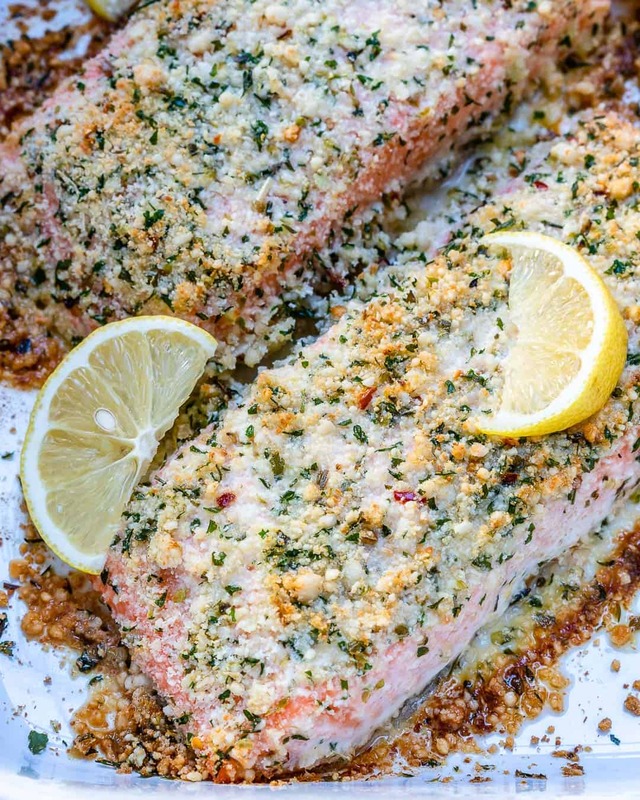 Place the salmon in a baking dish and brush it with the garlic butter mixture or olive oil mixture. 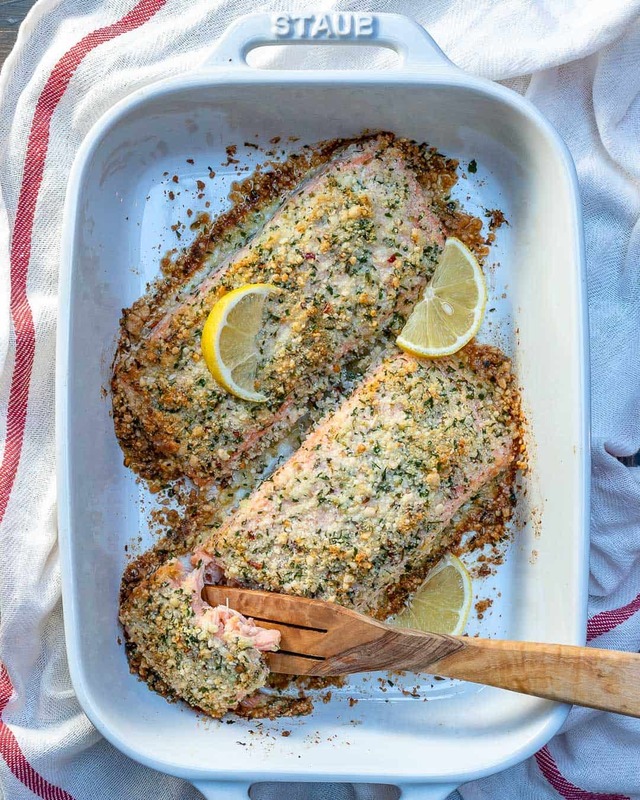 Sprinkle with almond parmesan mixture, until fully covered, gently pressing the mixture with your fingers so it sticks to the salmon. 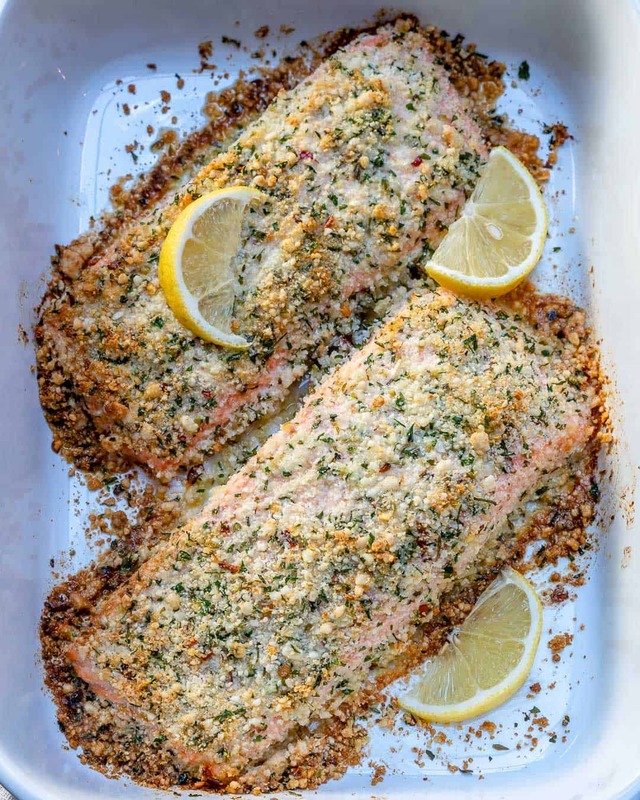 Bake in the preheated oven for 12-15 minutes, or until the crust is golden and the salmon is flaky. Enjoy!